The Sea Cargo Services can be used to ship cars, excess baggage and heavy shipments from the Uk to Pakistan. Whether you are shipping goods for the first time or looking for a long-term partner we can help. We emerged as Sea freight forwarder for British Pakistani People. Innovative operational techniques enabled us to enjoy almost immediate success and growth. Pak Direct Cargo offers the cheap sea cargo to Pakistan service as a solution to your heavy shipments need. Sea Cargo is the best possible option to send your cars or excess baggage from the UK to anywhere in the world. 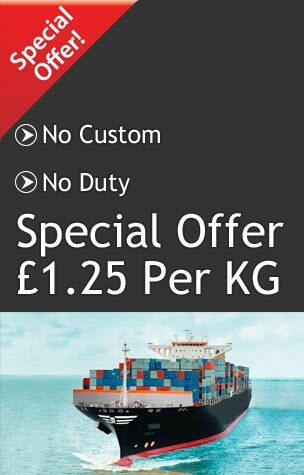 PDC Ltd. prides itself on offering reliable, flexible and cost-effective sea freight to clients across the UK. Our cheap cargo to Pakistan by sea service can be tailored to suit the individual shipping needs and requirements of our clients. The port-to-port service is ideally suited to customers with a high volume of business requiring big shipments to be delivered from the Uk to Pakistan by Sea. 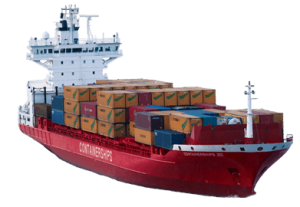 Our sea cargo service is the most secure and most affordable service right now in the market. Thanks to our experienced agents who are committed to providing their best services with your parcels. PDC team keeps the customers updated with their parcels. The best innovation of our company is that, If you will send something using our Sea Cargo to Pakistan service you will get a Tracking Code to track your parcels. 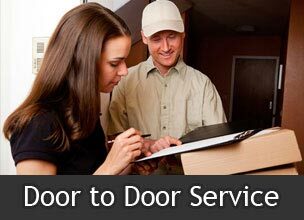 Your parcels can be picked and packed by our experienced team from your home, as we have a door to door service for that. You can also drop your parcels(goods, baggage, cars) to our office. As soon as we will receive your item. Our team will process your shipments via Sea Cargo. We have made 1000’s of shipments from the Uk to Pakistan so far and we guarantee the quickest and cheapest possible sea cargo service. Our experienced and the hard working team will always ensure that you get your parcel delivered as quickly as possible. Our standard delivery time is 5 To 8 Weeks. However, if you’re looking to deliver your goods in a quick turnaround time, check out our Air Cargo Facility or learn more about PDC.